Business World staged the 1st Economic Forum with the theme “Charting Progress to 2020: What to expect from the new presidency”. Speakers of the event were key figures in the private and government sectors led by Vice President Leni Robredo. EIG’s President and CEO Eric Francia was one of the speakers where he discussed ways by which com­panies addressed infrastructure challenges in the coun­try. During the panel, Mr. Francia is joined by Globe Telecom’s President and CEO Mr. Ernest Cu, Aboitiz Equity Ventures’ President and CEO Mr. Erramon Aboitiz and PPP Center’s Executive Director Raj Palacios. 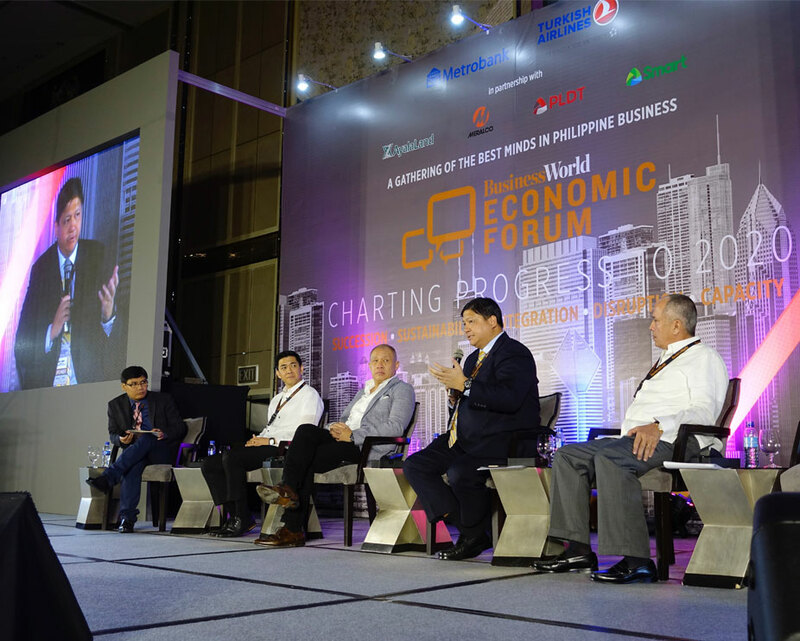 The forum was held at Shangri-La The Fort last July 12, 2016.